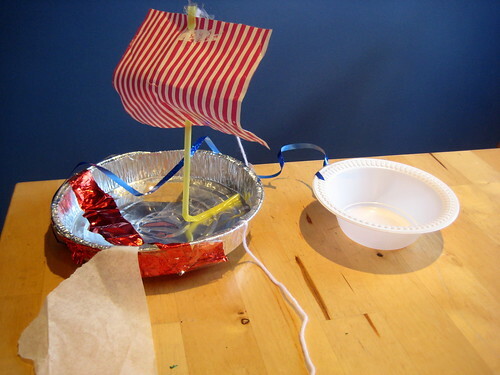 Combining junk modeling and a simple STEM engineering project for children, here’s how to build a toy boat. 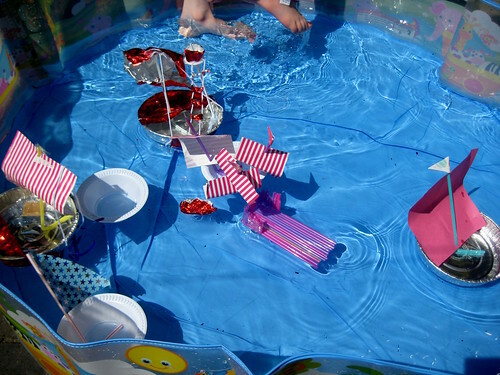 The sun is shining, the paddling pool is ready and we have a group of children, with a mix of ages, all with their own idea of how to make a toy boat. The materials we had on offer included tinfoil pie dishes, plastic bowls, drinking straws and the contents of our making box. 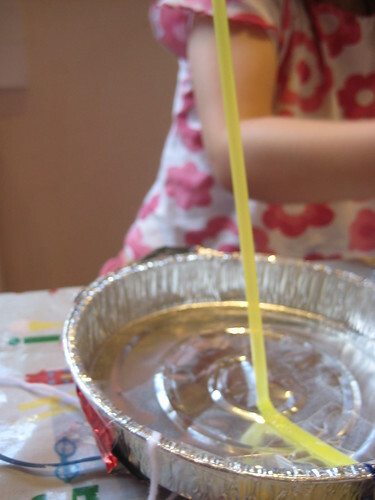 The basic principle we used to make our masts was to use sticky tape to fasten a bendy drinking straw to the inside base of each vessel – then each child came up with their own design of how they wanted to make a toy boat. 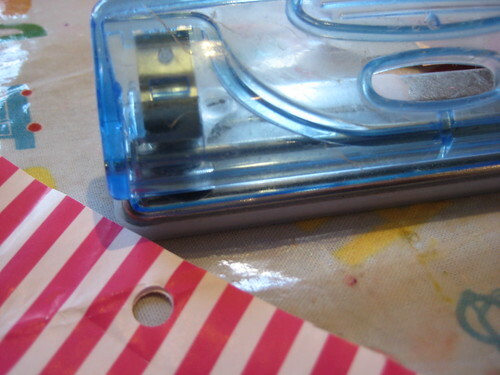 Some used a hole punch and wrapping paper to create a sail. One added a dingy to follow behind their boat. 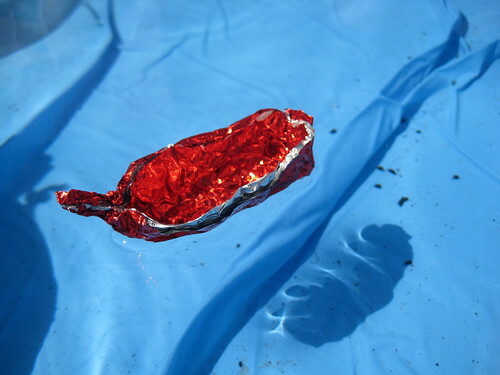 One used tinfoil to create a life boat. One added rigging and a crow’s nest. 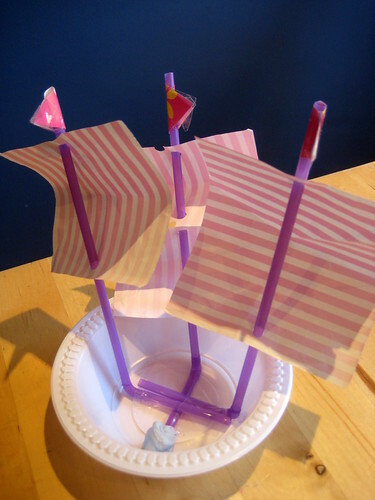 One made a galleon with three masts (and a little blutac to balance the ship). All the toy boats were different and all proved sea worthy. Some were great at racing. 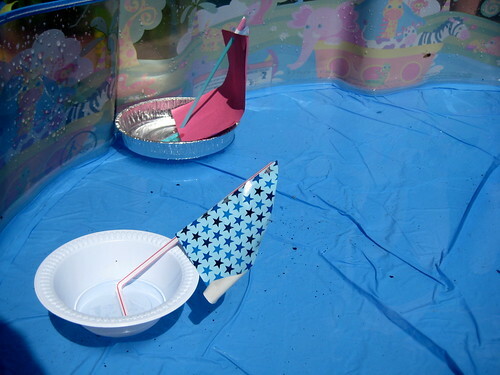 And together our toy boats made a fine flotilla for play on a sunny day. This was a great activity for a hot day as the building took place inside in the shade and then we went outside to go sailing once the mid-day heat had passed. Everyone joined in a group activity and all the boat’s turned out to be so different – bring each child’s ideas to life. Previous article: Summer Play Planner: fun play every day week 2Next article: Painting with cotton buds: process or product? What a wonderful assortment of toy boats! Super cool way to beat the heat and then enjoy some outdoor play. It’s heart warming indeed to see a group of mixed age kids playing, learning and growing together. What a great idea! 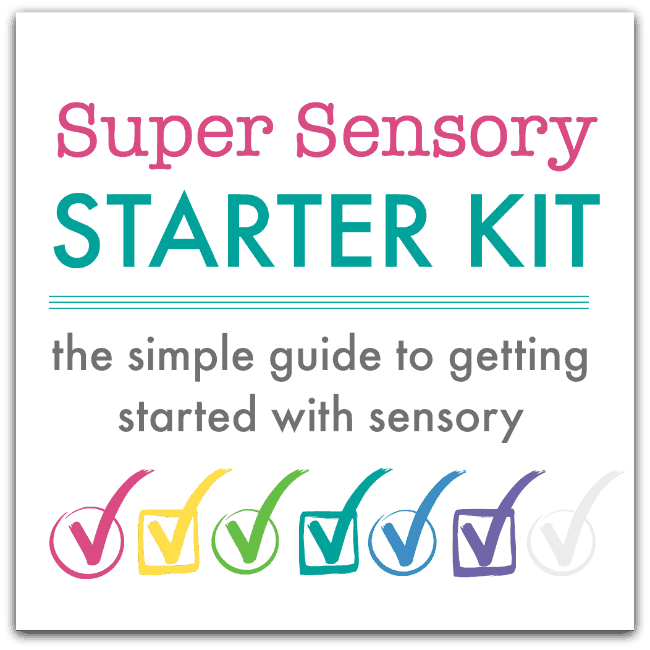 I’ll be trying this one out over the summer definitely! 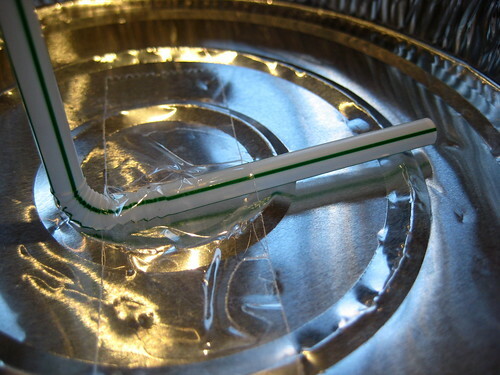 GREAT recycling activity…looks like a whole lot of fun :] thanks for sharing! 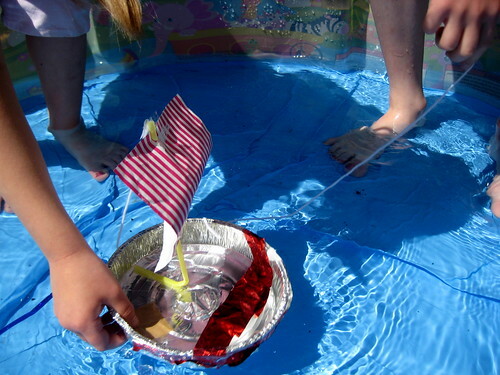 How great they turned out!There were a few rainy days over here so we have manny puddles and the other day Hana and I made our boat and sail it in the back yard.So much fun on the rainy day! 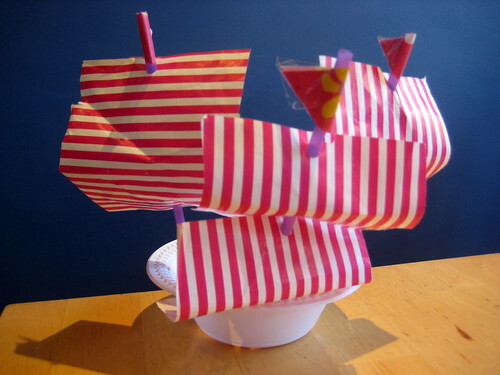 I love these ideas – truly children imagination has no limits! Very cute boats and nothing quite like it for some summer fun! Wow, what a great idea. I’ll surely try it with my son ! What a cute little regatta! I could have sworn I commented….. LOVE this idea! My kids would get such a kick out of it. 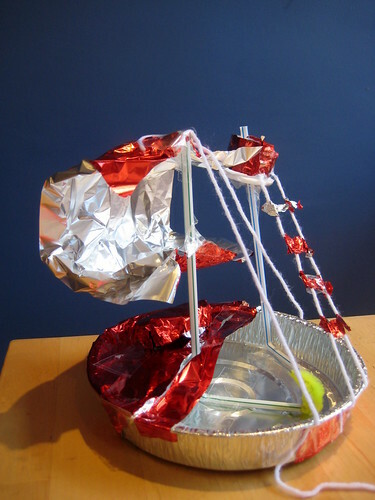 These boats are the coolest ideas ever my kids will enjoy making them with me and there dad so thank you for making this that way we can come together and enjoy each others company. I hope you a great time making them Kandi.